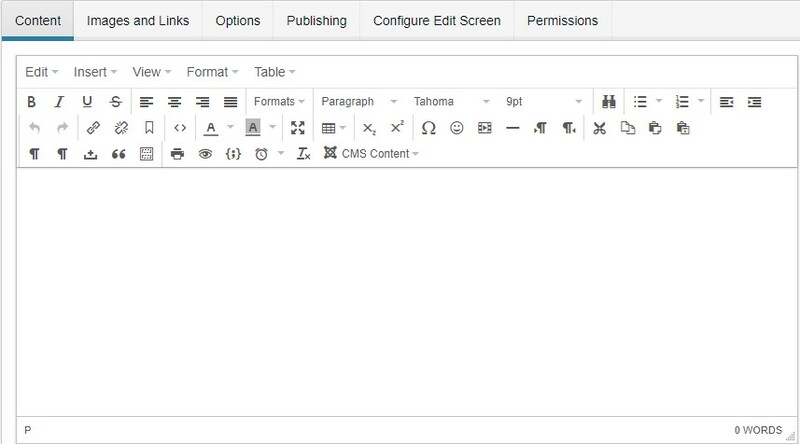 A Text Editor plays an important role for every CMS, Joomla 4 has inbuilt editors TinyMCE, CodeMirror.In this blog post, we discuss the default editor of Joomla 4 (alpha 3) and how to configure them for different users in Joomla. 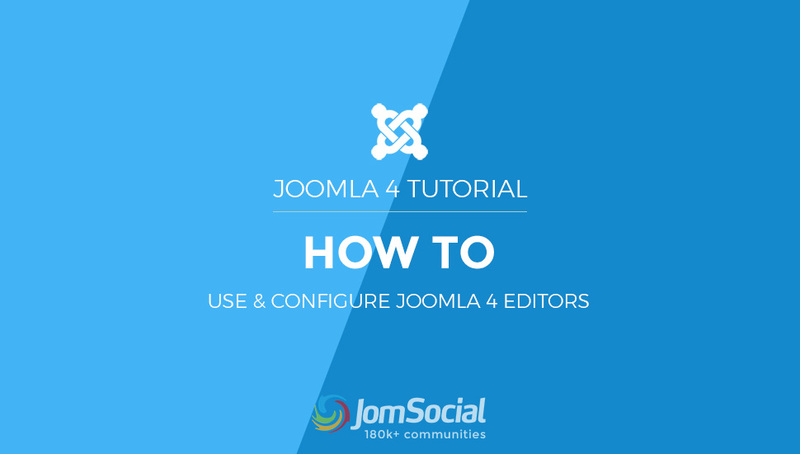 Joomla 4 comes with 3 types of editors in it, that allows you to edit content in Joomla articles, modules, tags, and contact items. If any extension installed on your site and has the feature to adopt Joomla editors, it also works on them. This editor is default editor of Joomla when you install a fresh Joomla on your site the editor is set as default. It has many features that allow you to customize the text and help you to beautify it. It's another editor that does not have any special buttons. But it has the ability to show the html content syntax. You can use this editor if you are writing an html code. Basically, there is no Editor when you set the Editor to None. It will show all the text in plain text format. 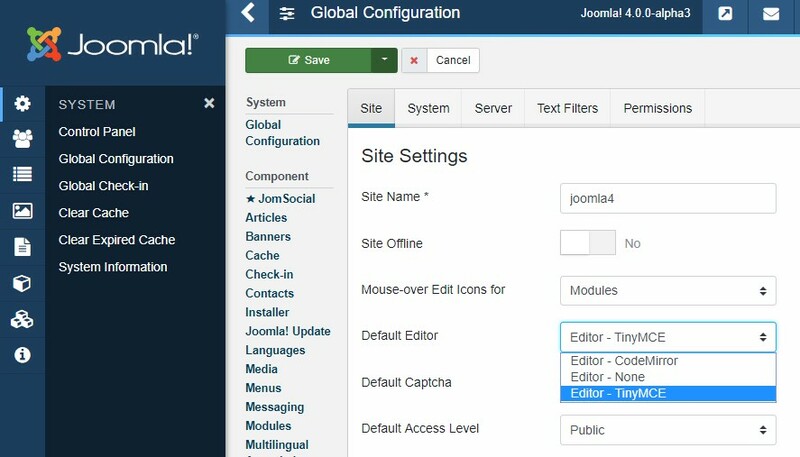 Joomla has special features that allow setting a different editor for every Joomla users. 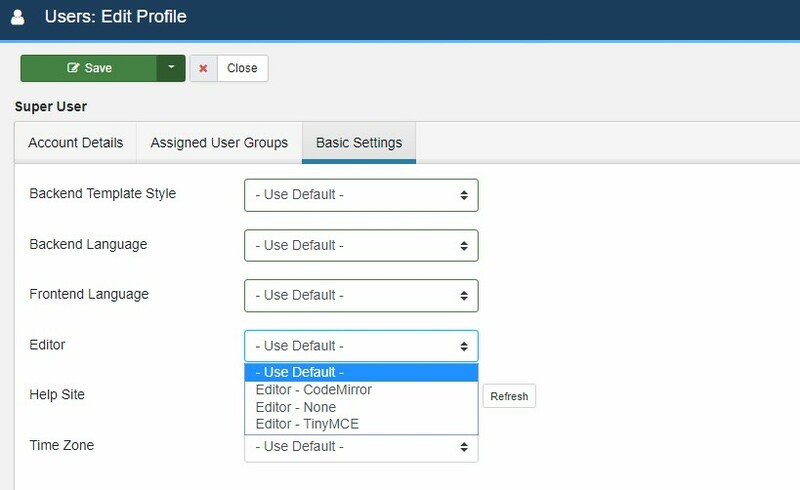 To Change a default editor for a user, Login to Joomla Admin > User Manager > edit a user profile > Basic Settings > Editor > Change the default editor for that user. A User who has admin access can also change his editor by Editing his own user profile. 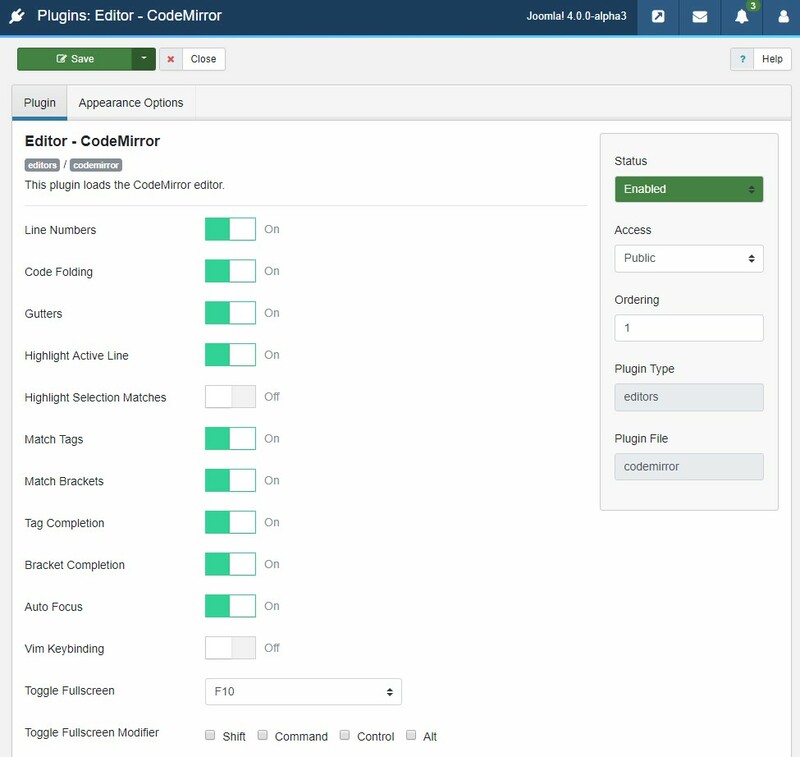 To configure the default Joomla editors Navigate to Extensions -> Plugins -> Editor This will display the list of the plugin present on your site. Each plugin refers to individual editor settings. This Editor has a variety of options to configure the options. There are three sets of editors available on the plugin settings that you can configure for different user groups and also set the editor default size etc. CodeMirror editor has not many options as it is used as HTML editor, the plugin options cover most the of useful things needed in an HTML editor.